Receive 3 bottles of BHV wine each quarter! Your choice to ship to your door, or pick up in the Tasting Room. 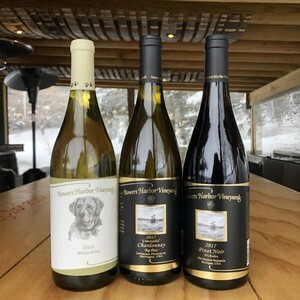 Enjoy 15% savings on quarterly wine selections, as well as all additional wine, cider, BHV logo clothing and glassware purchases during membership. If you would prefer other wines, easily customize your selection via your online account. For descriptions of the wines, please visit your Wine Club Members page.